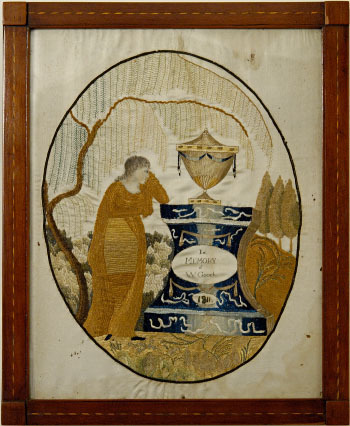 Sarah (Sally) W. Gooch attended the Salem Female Academy from 1811 to 1813 where she made this memorial to her grandfather, William Gooch. The satin for this piece cost 85 pence and the silks were 9 pence each. Parts of North Carolina were still using the Colonial monetary system in the early 19th Century. Sally was an expert with her needle. 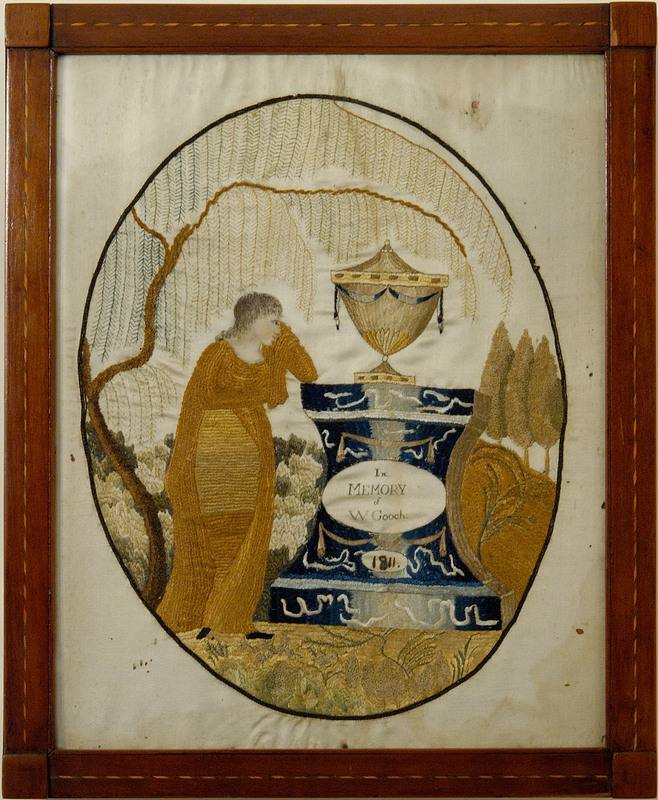 This memorial embroidery features the following stitches: chain, colonial knot, satin, stem, straight, and turkey work. The inlaid cherry frame is original.